Version 2.0 of Pepsi-SAXS released! We have just released version 2.0 of Pepsi-SAXS. Among the new features – the code was unified with Pepsi-SANS; flexible optimization along the lowest nonlinear normal modes added; a rapid optimization of docking poses added. Please see more at https://team.inria.fr/nano-d/software/pepsi-saxs/. Our research was highlighted in a recent Le Figaro article on the successes of artificial intelligence (AI) for protein structure prediction. The full story (in French) is here. Our team was ranked 1st in three data-assisted CASP13 sub-challenges (SAXS, SANS, and crosslinks)! See results at http://predictioncenter.org/casp13/zscores_final_assisted.cgi. Our novel Analytical Symmetry Detection method (Ananas) makes the cover of the September 2018 issue of the Journal of Structural Biology. Congrats Guillaume! The 1.0 version of the NOLB nonlinear NMA method released! The NOLB nonlinear normal mode analyses method has been finally updated to version 1.0! Please find it here. 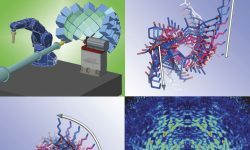 OffGridFit covers the August 2017 issue of Journal of Applied Crystallography! Our method of exhaustive FFT-accelerated off-grid fitting of structures into Cryo-EM maps covers the August 2017 issue of Journal of Applied Crystallography. Please find it here. 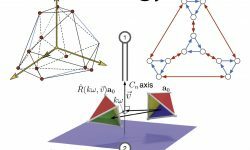 Our NOLB nonlinear NMA method covers May 2017 issue of Journal of Chemical Theory and Computation. Please find it here. New symmetrical assembly method makes the cover of the Journal of Applied Crystallography! Our new method Spherical polar Fourier assembly of protein complexes with arbitrary point group symmetry, developed in collaboration with Dave Ritchie at INRIA made the cover of the Journal of Applied Crystallography! Congrats Sergei! The TEDx presentation about SAMSON is released! Stephane Redon presented SAMSON at TEDxGrenoble. The video is available here. NANO-D has a new website! NANO-D has a new website, please update your bookmarks!